★★★★ - Rolling Stone Magazine - ‘Edwina Margaret ’Fanny’ Lumsden differentiates herself from Australian country peers with her clear-eyed, unvarnished articulation of life in the bush as it is, rather than as it was… a breath of fresh country air’. 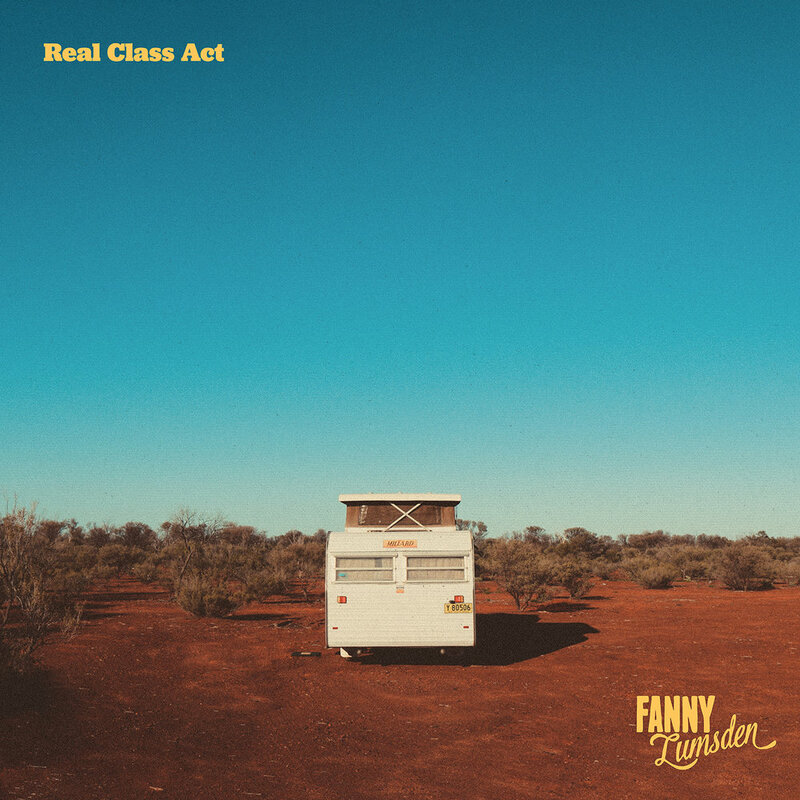 Raised in Western NSW, Fanny Lumsden is a ‘breath of fresh country air’ according to Rolling Stone Magazine & is hitting new highs with her second album, ‘Real Class Act’. Crowd funded and released on her own label, Red Dirt Road Records, the crowd funded album debuted #1 on the ARIA Country Chart, making Fanny the only independent artist to top the charts & one of only 8 Australian artists to reach #1 in 2017 and #23 on the all-genre chart. Along with an ARIA nomination for Real Class Act, Fanny recently took home the ‘Independent Country Album of the Year’ at the Aus Indie (AIR) Awards, to add to her ‘New Talent of the Year’ at the Golden Guitar Awards, ‘New Oz Artist of the Year’ at the Country Music Channel Awards plus the ‘Professional Development Award’ for Country Music from APRA, all in 2017. Following up an ARIA nomination for Best Country Album for her debut album 'Small Town Big Shot'. Fanny has also just returned from the 2019 Golden Guitar awards in Tamworth where she and her team received the Golden Guitar for the CMC Video Clip of the year for her song Elastic Waistband. Her single ‘Roll on’ from the album went to #1 on CMC and also was the highest Aussie film clip for the year in their top 100, coming in at #3, and has been in the top ten radio charts for 18 weeks running. No stranger to the road Fanny & her husband Dan have clocked up 150,000km across regional Australia on their self-produced Country Halls Tour selling out halls & celebrating live original music throughout Australia. The Tour is now in its 7th year having reached over 70 halls thus far throughout Regional Australia and with over 60 new halls applying to host this year, she shows no signs of slowing down. ‘In her own lane and on her own terms, Fanny Lumsden is a celebration of New Australiana’. Born and bred on a farm in western NSW, 600km from the nearest City, Fanny Lumsden grew up riding horses, helping out on the farm and living a seemingly idyllic Aussie Country upbringing with her family. Music was a big part of the Lumsden house hold with everyone playing instruments and singing and there was never any doubt that Fanny was a born show pony. Having completed her AMEB grades on Piano, and studied Music at High school Fanny went away for a while to study a Bachelor of Rural Science at UNE before making the move to Sydney where she started playing around the local scene, going to Songwriter nights. It was from there she met her band members The Thrillseekers and from there where the real Fanny Lumsden story begins. 7 years later she has two ARIA nominated Album, an ARIA Chart topping album, two Golden Guitars, a CMC Award, her own Record Label - Red Dirt Road Records and her own hugely successful touring brand - The Country Halls Tour. Golden Guitar for Video Clip of the Year 2019 - Elastic Waistband. Debuted at #1 on the ARIA Country Charts, #23 overall ARIA Charts, #3 AIR CHARTS, #1 Country iTunes charts. Crowd funded & released on Fanny's own Independent label - Red Dirt Road Records. Singles ROLL ON + ELASTIC WAISTBAND both went #1 on Country Music Channel. ★★★★ - Sydney Morning Herald. "If there's a twang to her airy voice and abundant pedal steel and country licks, there's also a folky warmth and lightfootedness here that's more reminiscent of Josh Pyke than Keith Urban." Crowd funded, released on Social Family Records. Beef Week 2018, Music in the Mulga 2018, Broadbeach Country Music Festival 2017, Out on the Weekend festival 2017, Majors Creek Festival 2017, Gympie Muster Music Festival 2017 and 2016, Urban Country Music Festival 2016, Darwin Festival 2014, Sydney Festival 2014, Peats Ridge Festival 2012/2013, Secret Garden Festival 2013, Gulgong Folk Festival 2013, Newtown Festival, The Man From Snowy River Bush Festival 2012-2015, Tamworth Country Music Festival 2014- 2018, Cygnet Folk Festival 2014, Vivid Sydney, Sydney Fringe Festival & guested at Port Fairy Folk Festival 2014.